When did WWE forget how to present a championship in a way that people care about it? Yes, technically every pro wrestling title is a prop to sell more tickets, but in the fictional world these characters inhabit, that belt is supposed to be the reason they come to work every day. Every wrestler who laces up a pair of boots is supposed to dream of becoming the WWE Champion. They won't all do it, nor should they. But it's the ultimate goal within the confines of the storyline. Remember when WrestleMania season was built around a particular star entering the Royal Rumble, hoping against all odds that he'd outlast everyone else and get to main event WrestleMania against the WWF/E Champion? Now look at what happened this year. Randy Orton, a heel at the time, won the Rumble to a fairly lackluster response since he wasn't a hot star, turned babyface (sorta) and faced Bray Wyatt in Match 7 out of 10 at 'Mania - an instantly forgettable affair that lasted a measly 10:30. This bout got less hype than probably four or five others on the card. If winning the Rumble to earn a WWE Title match at WrestleMania isn't a bigger deal than say, fighting The Undertaker or The Rock in the main event, or worse, you get stuck in the OPENING MATCH like Del Rio and Sheamus did, what does that say about the Championship? What it says to me is, "Meh, this is just another fake belt, nothing to see here." Imagine if Kenny Omega won last year's G1 tournament and then got stuck facing newly crowned IWGP Champion Michael Elgin for example (nothing against Big Mike, this is just a for-instance) in the fourth match from the end, and they only got eleven minutes, while Okada and Tanahashi fought each other again in the main event with no belt on the line. How chintzy would the IWGP Title look after that? WWE has to get away from this mentality that anyone with even a modicum of ability can win the top championship and make it work. That's never been how wrestling championships get over. That's why they have secondary titles, so the guys who aren't World Championship material have something to fight over. But half the time the Intercontinental and US Titles are reserved for guys who even WWE wouldn't put the big belt on. Last year at Summerslam the Intercontinental Title match was The Miz vs. Apollo Crews, and it got what, five minutes? Compare that with NJPW's second-biggest PPV of 2016, where the Intercontinental Title was defended by Kenny Omega in the semi-main event slot against Michael Elgin, in the company's first-ever Ladder Match. Hmm, which of those two titles strikes you as the more prestigious? If WWE had always presented their top singles titles this way they'd never have become the juggernaut they are now. Bruno Sammartino's record-setting 7-1/2 year reign would've instead been an extended period of hot potatoing the belt to everyone on the roster, regardless if any of them could draw or not. The fledgling WWWF would've been stillborn. Pro wrestling's oldest active championship is a far cry from what it used to be. Joseph: Yes, it’s true. The IWGP brand is probably the most prestigious line of championships in wrestling today. As Justin has pointed out, only four individuals have held the IWGP Heavyweight Championship since Hiroshi Tanahashi began his 404-day V11 run on January 4, 2011. 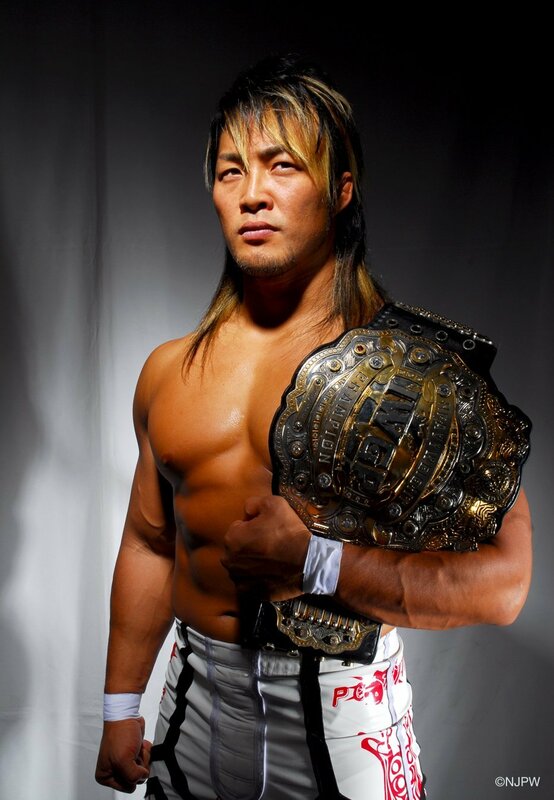 Having been contested in such classics as Okada/Tanahashi, Okada/Omega, and Tanahash/Suzuki, the value of the belt has been elevated not only by its exclusivity, but also by the unprecedented level of its championship bouts.The Tanahashi years were defined by the Ace of the Universe elevating younger workers such as Tetsuya Naito to his level, or making the absolute best out of throwaway defenses such as Yujiro Takahashi. 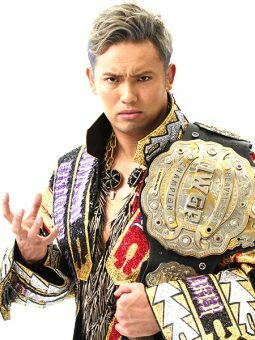 Okada’s first two reigns with the title were made up of bouts against the established stars of NJPW - Tanahashi, Hirooki Goto, Satoshi Kojima, Togi Makabe. In all these classic bouts, we’re seeing the kind of sharp booking focus that has resulted in NJPW’s stunning climb back to the top of Japanese wrestling and to the global stage. Stories are told in one-shot title programmes, and ultimately add up to a greater story for the champion, for a challenger and for the title itself. IWGP Heavyweight has benefited more than anything from over a half-decade of clear, determined booking. It was the centrepiece of the Okada/Tanahashi feud that has defined NJPW’s modern era, and became the object of desire to AJ Styles and especially Tetsuya Naito. Outside of the Wrestle Kingdom 8 fiasco, it has been consistently positioned as the alpha and omega of NJPW’s heavyweight scene. 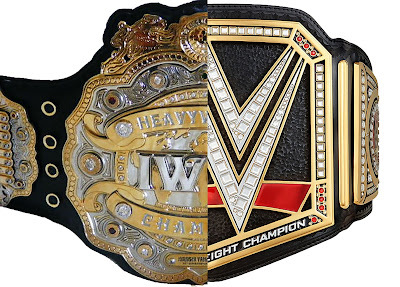 Although the Intercontinental and NEVER titles are also largely contested by heavyweights, their different stories have created a tangible hierarchy to further elevate the status of the Heavyweight Championship. It’s pretty sweet for NJPW right now. After years of solid booking, they have a situation where each singles title serves a defined role and fits into a defined hierarchy. But what of other promotions? Justin has gone into detail about the failings of WWE to elevate the status of its championship belts, so I’m going to take a quick glance at the other promotions around the world and how they do it. Firstly, we can look at arguably the world’s second-most prestigious title, the Triple Crown. Despite languishing in a promotion seemingly doomed in the years following the Mutoh exodus, 2016 saw the rebirth of the Triple Crown, and All Japan Pro Wrestling. The year started off with Suwama - AJPW’s longtime ace figure (essentially the generational analogue to Hiroshi Tanahashi) - winning his record-tying fifth Triple Crown. It seemed as though this was to be his V11 reign, to spend a year as champion and pass the torch in Sumo Hall to one of the bright young stars, likely Kento Miyahara. Of course, fate had other ideas. Suwama was struck down by an achilles tendon rupture, and a match for the vacant title main evented Korakuen Hall that February. Kento Miyahara was crowned champion by defeating Zeus (in the best match of the latter’s life to that point), and the new era of All Japan had begun. Miyahara’s 2016 saw him defend against All Japan lifer, Takao Omori in another strong bout, make a great run in the Champion Carnival before crashing out on the last day against winner Daisuke Sekimoto, defend against Sekimoto in Korakuen, against K-Dojo ace Kengo Mashimo, against Jun Akiyama in a match that received huge Match of the Year buzz, against Ryouji Sai and main eventing Sumo Hall in November against the Royal Road tournament winner, the returning Suwama. The story of the injured ace returning to face off against the young champion, whose success in his absence was utterly unprecedented, made for an incredible story. Suwama putting over Miyahara as the ace in front of a fantastic 6000+ crowd was a major moment for Kento Miyahara, All Japan Pro Wrestling, and the Triple Crown Championship. Since then, Miyahara made more defenses against Omori again (in a tremendous match) and against The Bodyguard, before another Champion Carnival run and dropping the belt on his ninth defense against winner Shuji Ishikawa. Ishikawa has since made one defense against Jake Lee and will next defend against Suwama, in a rematch of their tremendous Champion Carnival Day One main event. In over a year, the Triple Crown has fast ascended to being one of the most consistently entertaining scenes in all of wrestling. However, despite high-quality matches and strong champions, it will take a little more before its prestige can match IWGP. It has yet to achieve the same scope as IWGP - both in terms of business success and years of consistency. However, if the last fifteen months have been anything to go by, we may see All Japan approaching the level of Dragon Gate and DDT in competing for the number two spot in puro resu soon enough. Speaking of Dragon Gate, that’s a promotion with many years of consistency behind it. Currently, YAMATO is fast approaching a full year as champion (since defeating Shingo Takagi at last year’s Kobe World in one of the best matches of the year). Many expect King of Gate winner T-Hawk to dethrone YAMATO. Despite this, it doesn’t quite feel like YAMATO is coming off an epic, year-long reign. He has defended against the departing Akira Tozawa in a fantastic bout, against long-time partner and rival Naruki Doi in a strong main event, against stablemate BxB Hulk, against Cyber Kong, and against all five in the Dead or Alive cage match. However, none have quite felt like YAMATO is going in a definable direction as the champion, or bringing something new to his reign, and many are now in fact clamouring for the once maligned T-Hawk to finally ascend to the very top. This goes to show that the length and scope of a championship reign is not all there is to title prestige. Challengers need to be believable, something that Dragon Gate’s been missing for a while. Returning to WWE, it has just about every major problem. It’s almost always plainly obvious when a title change will occur - there was no way John Cena was losing to AJ Styles at the Royal Rumble this year, we all knew Bray Wyatt was taking the belt to go ahead with the Randy Orton win at WrestleMania. 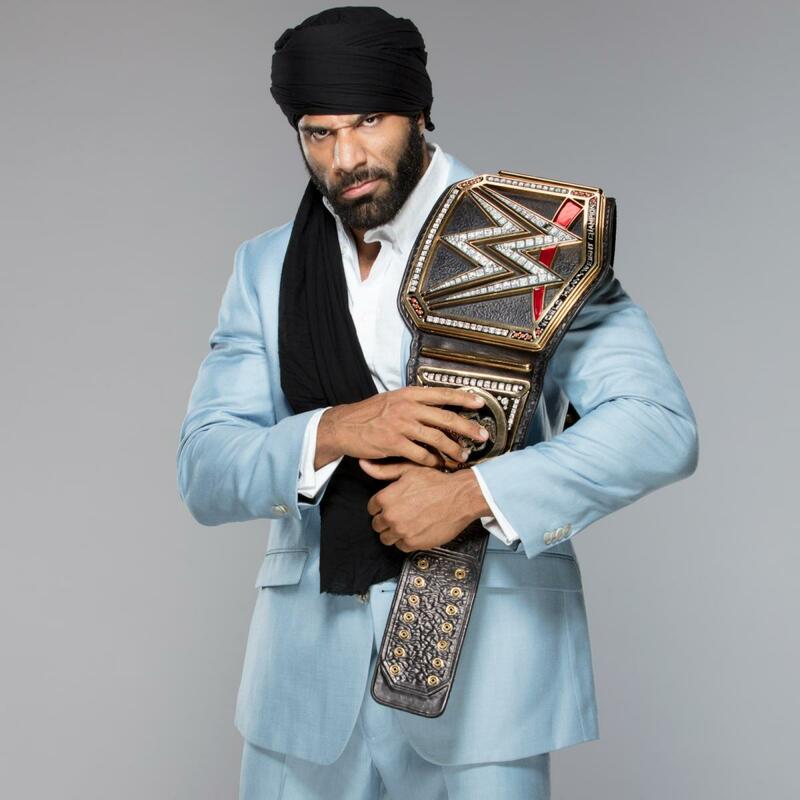 The only title change this year that felt unpredictable was Jinder Mahal’s win, and that’s only because he spent the previous six months as a jobber. Besides that, no title challenger feels like a threat in the way Suwama did to Kento Miyahara, or Kenny Omega did to Kazuchika Okada. No series of challengers communicates an overarching story, as Okada’s increasingly-intense defenses have. This wouldn’t be so egregious an issue if it weren’t for WWE’s capacity to rectify it. 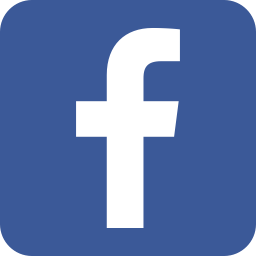 Some of the very best wrestlers in the world are currently employed there - Sami Zayn, AJ Styles, Neville, Shinsuke Nakamura. There’s no reason for such a talented roster (maybe the most overflowing with talent in wrestling history) to feel so aimless when it comes to title prestige. Neville and the Cruiserweight belt may be the best example. Since TJ Perkins won it in the finals of a great tournament last year, it hopped from him to heel Brian Kendrick to face Rich Swann to heel Neville, all because there was no effort made to define the belt. Every new champion felt like a quick fix, and only moving the extremely talented Neville down to the cruiserweight division has rectified that. Compared to the clear direction for the IWGP Jr. Heavyweight championship since KUSHIDA won it in January 2016 - one belt has gone on to climb up the card to its highest in years. The other is a containment zone for small wrestlers. IWGP is by no means a seal of unassailable quality. Both tag titles are still in limbo, with little more than two teams keeping the Jr. belts afloat, and Guerrillas of Destiny hopefully entering into a definitive reign. However, the general focus on high-level matches, meaningful title changes and long-term stories makes IWGP championships the most sought-after in the world right now. It’s great to see more and more promotions put that same level of faith into their titles, especially in the Japanese scene. However, WWE still has a lot to learn, it seems. Like AJPW, it will take a good few years of consistent title booking before the image of WWE’s championships (of which there are too many) can change. And that’s only if they ever commit to change. This was Okada after failing to dethrone Tanahashi at WrestleKingdom 9. THIS is how you get across the importance of a Title. I agree with everything stated here. In the past few years u slowly stopped watching everything related with the WWE, until I was left with only Raw. Then with all the politicing, the WWE wanting to cater to Hollywood with Dawayne 'no longer the Rock' Johnson, Batista, and Steve Amell (don't get me wrong, I love Arrow), and branching out to their direct to DVD movies and own brand of YouTube with the WWE App (for only $ 9.95! ), I stopped watching, because it wasn't wrestling... It was the "Soap Opera for men" or for the "TV-PG" audience with little wrestling and more 'sports entertainment'.